Richard Herskowitz is at the helm of the Ashland Independent Film Festival. In his second year as the Artistic Director, he also is serving as the Interim Director. 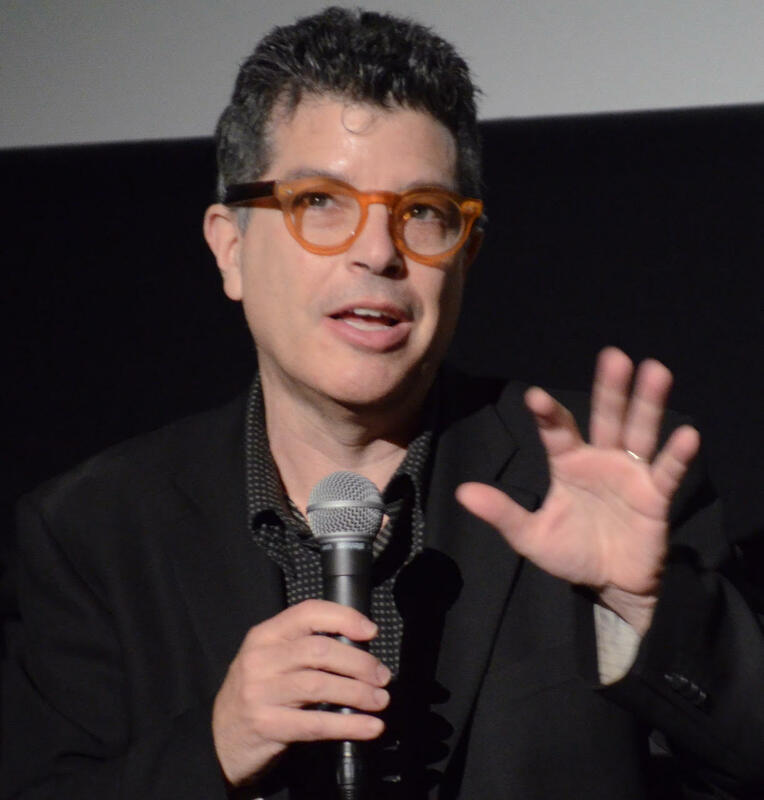 The Messenger caught up with Herskowitz to talk about, well, movies. Rogue Valley Messenger: When did you first recognize that film was something you want to make part of your career? Was there a specific film or event that hooked you? Richard Herskowitz: Yes, I remember going to the Cornell Cinema film society as a young teen and witnessing dramatic audience responses to Jean Luc Godard’s Weekend and Gillo Pontecorvo’s The Battle of Algiers. Afterwards, my parents and their friends talked about the films for hours, and I joined in, and was amazed that films could generate this much thinking and passion. I was hooked. My first professional job in film exhibition came to be directing Cornell Cinema itself, which I did for twelve years, showing over 500 films a year. RVM: Do you remember the first film festival you attended? What did you like about it? RH: I remember very well. It was the New York Film Festival. My college friends and I piggy-backed on a single membership to order tickets early. There are so many experiences there burned into my memory, including seeing the elderly Luis Bunuel standing, with some difficulty, taking in the waves of applause after The Phantom of Liberty, and a young and nervous Martin Scorsese introducing Once Upon a Time in the West. RVM: With 800 submissions—and 100 films selected—certainly some patterns must have emerged. Can you share any thoughts about the types and subject matter of films you saw, and selected? RH: The quality of the films submitted here is unusually, extraordinarily high. I’m used to programming festivals and having to search far beyond the pool of submissions to find strong titles; here, I keep discovering gem after unexpected gem in the mail. Major filmmakers apply here because of the festival’s reputation, and don’t need to be pursued by me. There is definitely a surge of social issue docs, but many of the strongest ones are focusing on the activists fighting alongside the victims of injustice, and so are energizing, not at all depressing. Our program this year is celebrating that. RVM: There are so many different ways to attend a film festival. What advice do you have for “surviving” or best navigating a film festival? RH: Pick up the catalogue or go to our website, and read about the major tributes and themes of the festival, like the tributes to Skylight Pictures and their “Resistance Saga” or to James Ivory, and follow the paths that intrigue you through the weekend. Pay attention to the start and running times so you can plan ahead to make it from one movie to the next. Break up the films with some TalkBacks and Community Conversations or VR experiences. Don’t overdo it if you’re a festival newbie—start with two films a day, but know that your festival muscles will develop rapidly and you’ll be mainlining four films a day in no time. RVM: If you could describe your life as a movie, what movie would that be? RH: A Clockwork Orange? I’m Alex being bombarded by images projected onto my wide open eyes. However, it doesn’t feel to me at all like torture. RVM: So many people use movies to relax and escape. But when it is your work, does that work? How do you plan to de-compress after the festival? RH: I used to know Roger Ebert, who came to my Virginia Film Festival every year, and he told me that all his vacations were to film festivals. His TV colleague, Gene Siskel, was incredulous that was how he vacationed from movie viewing. I’m like Roger, except I like arts festivals of all kinds…the Edinburgh Fringe Festival, Miami Art Basel, as well as Cannes, Sundance and Toronto film festivals, are where I often travel. After this festival, I am headed to the Frieze New York art fair, and soon after the Venice Biennale. The kind of hiking I like is from gallery to theater to club to gallery. It is the Ashland INDEPENDENT Film Festival. Get a clue.